How to write a better SEO post? This is little tricky even for expert or webmasters or bloggers since it is involved many parameters and search engine giant never reveals about those exact parameters. So, the online contributor has to write assuming they are not violating search engine rules and not trying to do any tricks to get the attention of search engine beside ignoring human audience. Thus, a blogger has to neither follow white hat SEO nor black hat SEO though white hat SEO helps not to violate the search engine rules. The blogger mostly has to concentrate approximately on avoiding the (writing) steps of Black hat SEO which can put the webpage or whole blog in a blacklisted for violating search engine policy. This is one of the advantages of online source for all. Title / URL must be matching domain, niche and article summary etc. Title shall not be used with two same words or keywords, at the same time it must be precise and long to cover main keywords. Article summary shall not have more than three same keywords but alternate one can be added instead. Article or post shall have html tag, image tag and video tag if any, suitably. Article may have few relevant internal links that would help. Article total words must be at least around 500 (five hundred) to be precise with detail info on the subject topic. 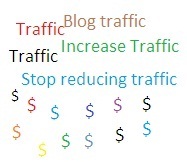 The above simplest article can benefit to all (blogger, search engine and visitors) and fetch organic traffic too. Try to avoid posting URL in social networking sites if you are looking forward for an organic traffic. Search engine sooner or later consider those URLs as social traffic and ignore for natural or organic traffic. It happened to many after Google Penguin updates. There is no issue of Google plus URL promotion though. Note: This article may not be around five hundred words but sometime around three hundred words too help as better SEO content. You may also check the top seven free webhosting sites to know more detail and its benefit.